Following a cancer scare, during which he was approached by researchers and asked about his exposure to chemicals from common household items, i.e. weed killers, glue, detergents, plastic meat wrap, etc, McKay Jenkins set about doing his own research for clues into the toxins that are getting into our bodies and environment. Jason Hartman and author, McKay Jenkins, discuss the findings that led McKay to write his book, What’s Gotten into Us? Staying Healthy in a Toxic World. 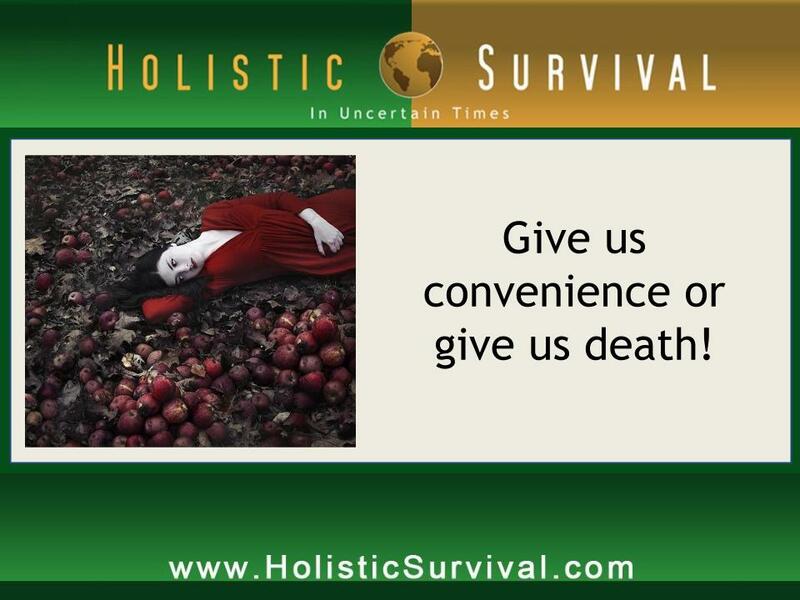 Listen at: www.HolisticSurvival.com. McKay was lucky that the tumor in his abdomen was benign, but during the weeks up until his surgery, he came across a lot of people with various types of cancers and he wondered just how many chemicals we’re exposed to every day. The number was staggering. The toxins are leached into our environment and ingested through our air, food, water, and numerous household items and lawn care products. Water samples show pharmaceuticals; mattresses contain neurotoxins that break down over time; children’s clothing contains flame retardants; many pots and pans are coated with Teflon. The list goes on and on. Body burden studies reflect the amount of toxins in a person’s body and the findings reveal high levels of hormone-disrupting chemicals in blood samples. McKay talks about the regulations or lack of regulations that are favoring large corporations rather than protecting consumers. Maine has been able to pass the most effective health laws in the United States that favor its citizens. The corporatocracy wants consumers to shop without thinking; cosmetics are full of chemicals that are actually illegal for use in Europe because of their carcinogenic properties. For instance, lipstick contains lead and other cosmetics contain industrial strength degreasers that are used on engines. Warning labels are not required on cosmetics, yet the same degreaser found in the hardware store carries a warning lable. McKay wraps up the interview with suggestions for healthier living and advises consumers to be more aware of what is going into and on their bodies. McKay Jenkins has been writing about people and the natural world for 25 years. In addition to his book, What’s Gotten into Us, McKay is the author of several other books. He is also the editor of The Peter Matthiessen Reader (Vintage, 2000), an anthology of the American nature writer’s finest and most enduring nonfiction work. McKay holds degrees from Amherst, Columbia’s Graduate School of Journalism, and Princeton, where he received a PhD in English. A former staff writer for the Atlanta Constitution, he has also written for Outside, Orion, The New Republic, and many other publications. Jenkins is currently the Cornelius Tilghman Professor of English and Director of Journalism at the University of Delaware, where he has won the Excellence in Teaching Award. He lives in Baltimore with his family. Jason Hartman: My pleasure to welcome McKay Jenkins. He is the author of What’s Gotten Into Us? Staying Healthy in a Toxic World as well as several other books. McKay, it’s great to have you. This is a great topic and looking forward to delving into it. How are you? McKay Jenkins: I’m fine. Thanks for the invitation. Jason Hartman: Good, good. My pleasure. You wrote this book, I guess it was prompted by a cancer scare a few years back. Tell us about that. McKay Jenkins: Yeah, sure. Well, about 6 years ago I went to see my primary care doctor with what I thought was a basic running injury of kind of a repetitive use injury in my left hip. And he prescribed an MRI which I did and the orthopedist called me late in the afternoon on a Friday afternoon and said you have a suspicious mass in your abdomen and you need to call an oncologist right away. Now, this is completely out of the blue. I really had absolutely no preparation for that outcome. The oncologist, he looked at the film and he thought most likely that this is what you call a soft tissue sarcoma which is a malignancy that you really don’t want in the middle of your abdomen and it turned out to be the size of a baseball. And the reason that he’s causing you discomfort is he’s pinching on a nerve running down my left leg, the femoral nerve which is the main trunk line down your leg. So, for about a month my wife and I were in a full blown panic as you can imagine. We at the time, we had kids who are a year and a half old and 4. So, we were in the terrible, terrible luck, at a crisis mode, went to New York City for a surgery and while I was in my scrubs getting ready to go in to get operated on, some researchers came up to me with a clipboard. Literally, I was in my scrubs waiting to go into the operating room and they said do you mind if we ask you some questions about your chemical exposures? And I said what are you looking for? I’ve been a journalist and a professor. I’ve never worked in an industry, I’ve never worked in a plant making formaldehyde or anything. I’ve just been a book reader and a writer my whole life. And they said “Well, we’re not really asking about industrial chemicals. We’re talking about the chemicals that you come into contact with in your everyday life.” And I said “Well, like what?” And they reeled off dozens and dozens of questions, things like flame retardants in your mattresses or stain resistors in your carpeting or non-stick chemicals that go into your cookware or the endocrine disrupting chemicals that you find in plastic drinking water bottles or the pesticides that your neighbors might use on their lawn, the formaldehyde that you might find in your plywood in your house or the stuff coming out of the paint cans in your basement or the detergents or you name it, on and on and on it went. And it just struck me – I was completely perplexed by this and never really given in the kind of quantitative thought before. Then they left and I went into surgery, woke up 3 hours later and my surgeon was smiling at me and said “You’re not gonna believe this but it turns out that this gigantic tumor in your abdomen most likely was benign.” I said “You’re kidding me. Benign? What are the chances of that?” He said “Well, we see about 100 of these tumors a year and 4 of them are benign. The other 96 are malignant. And you drew the long straw on this one, you’re a very lucky man.” And I thought wow. The whole thing was so surreal from start to finish and I ended up leaving the hospital with a giant scar and big thing taken out of my abdomen but I was healthy. I had actually never been sick. It was just this anxiety and this fear of cancer. But in the time that I thought that I had cancer which was about a month, I ran into just dozens and dozens of people who had different kinds of cancer. And in the 3 years after that that I was writing this book, many members of my family were diagnosed with cancer, friends of mine, all kinds of things, breast cancer, pancreatic cancer, bone marrow cancer. And it just struck me that this thing that we all have come to accept, this idea that everybody’s gonna get cancer one way or another, there’s no escaping it, was worth writing about and trying to figure out how this has all come to be and that’s where this book came from, really came out of my scare which, thankfully, turned out to be just blind luck. I just came out of it as healthy as when I went in but many, many other people don’t get such a lucky prognosis. Jason Hartman: To hear about that on a Friday afternoon, what an awful thing because you get to agonize all weekend of course, not that you wouldn’t agonize the rest of the time before the surgery and so forth. But I guess that really led you to explore the types of toxins in our environment, in our homes, all around our lives, right? McKay Jenkins: Yeah, well this is the critical thing. This book is really not about cancer clusters that exist around some chemical plant in Northern New Jersey or something like that. Jason Hartman: It’s not an Erin Brockovich type thing. McKay Jenkins: It’s not that story, no. That story, we can talk about whether that has sunk into the popular imagination or not. I mean, some people know about that, many other people seem to not make some connections, but this book is really about the things that you deal with in every single day of your life from the cosmetics that you put on your face to the things you clean your bathroom with to, again, the stuff that gets into your drinking water without you realizing it, everything from agricultural pesticides to pharmaceutical drugs. There was a study done by the Associated Press a few years ago where they went around to every municipal water supply in the United States, 50 biggest cities, and they tested the water coming out of the tap, and they found pharmaceutical drugs in every single sample. The reason for this, of course, is the pharmaceutical industry is just gigantic. Think about scaling up how many people are taking how many drugs and how many of those drugs are not fully metabolized. And as you excrete the pharmaceuticals that you don’t actually absorb into your body, they get excreted into the water supply and you can test the stuff coming out of your tap. There’s no argument about whether these things exist. Now, true, these are in parts per million or parts per billion. But you add that to the hormone disruptor chemicals that are coming out of the plastic bottle when you’re drinking your water out of it or the Teflon chemicals that’s coming off your pan to the pesticides in your yard to the chlorine in your water to the formaldehyde that you’re breathing in from the plywood, and these things add up over time. And there have been studies done all over the place that they take samples of people’s blood, their urine, and their hair, and they can test for these chemicals inside your body, not out in the atmosphere, not in the ground, not in the water, but in your body, in your tissue, in your bones, in your blood, in your breast tissue and your fat cells, and they can find, for example, flame retardant chemicals that are used to make your mattress flame resistant – they can find that in women’s breast tissue. So, this is really not an abstraction. The point of this book is to bring it home to people. Jason Hartman: So you’re saying it leaches through the mattress into your body? McKay Jenkins: So here’s what happens. This is really important for people to understand. So let me just put it in some historical context. So, in 1912, the Titanic went down and when they brought that ship back to the surface they found there was no plastic on that entire boat. The most luxurious ocean liner ever built had 0 synthetic materials on it. That was in 1912. 30 years later World War II breaks out and the American industrial machine started cranking and we created, as we now know, like 75 years’ worth of ingenuity, making stuff out of petro chemicals. And if you think about it, just look around your office, look around your house, and try to identify the few things that you can point to that are actually made out of things like wood or wool or glass or stone or metal, some things that come out of the ground. And then look at all the things that are made at a laboratory somewhere. And if you actually pay attention, you will realize how vast that thing is. So, the question is does a mattress get into your body? Well, here’s what happens. You treat these fabrics whether you’re talking about the mattress, you’re talking about your rugs, you’re talking about your couches. The interior of your car, all that stuff is made out of petro chemicals. Now, some of it you breath in. Like that new car smell, for example, the famous new car smell turns out to be made out of toxic chemicals. When you get a new mattress and you pull it out of the cardboard box and you rip open that big plastic bag and you smell that thing coming out, what that is are the chemicals that constitute, in this case we’re talking about flame retardants. So you’re breathing that stuff into your lungs. Then you put it on your bed and you lie on it for 10 years or 20 years or whatever it is and the materials that make up the mattress are constantly breaking down just like you’re constantly shedding skin cells all day long. You don’t see it but it’s happening. This stuff is shedding. And the evidence for this is that scientists can go and take a swab on your window sill, like pick the dust up and put it under a microscope and see what it’s made out of, and it’s made out of all this stuff. It’s made out of stuff that’s breaking down off your mattress, it’s made out of the pesticides that you use on your lawn, it’s made out of the stuff that’s coming off the paint on your wall. You don’t see it and it happens incrementally and invisibly but the stuff is demonstrable – you can clinically test for it. So, it’s not like you’re absorbing it through your head or something like that, but it’s getting into your body. And these chemicals turn out to be neurotoxins if you’re talking about mattresses. So, this is what the book talks about. Like I did 3 years’ worth of research and all the scientific studies of all this stuff, how ubiquitous they are, how common they are, number one, and number two, what this stuff does particularly in laboratory animals. They tested all this stuff on all these animals and of course they found it’s not just cancer we’re talking about. It’s hormone problems, neurological problems, developmental problems, all kinds of things. And in some places in the world, in Europe and in Canada, they find that those two things, they say there’s a lot of this stuff out there in the world and in the laboratory we know that it causes problems. That’s all they need to hear and they regulate them. They say we’re not going to allow you to make mattresses out of these flame retardants for example. In this country, in the United States, industry has such a strong grip on politics, on legislation, that industry basically runs the show and says don’t regulate us. You know how the mood is today. Don’t regulate us for anything. And so they are basically allowed to release any products, any ingredients of products out onto the market without complete health testing. And so what you end up with is the burden becomes onto the consumer to somehow be able to prove that they got breast cancer because of some chemical which of course is impossible to prove because you’re exposed to stuff all day every day. Jason Hartman: Yeah. The problem, though, with the regulation argument, and I don’t want to get off on a big tangent about this, is that it always become corrupt it seems like. Like you have the former head of Monsanto is now Obama’s Secretary of Agriculture. I mean, that’s just ridiculous to me. It’s just a total corporatocracy, all these scumbag corporate criminals are just basically running the world. So, you look at like the Obama administration which most would agree, regardless of what side of the political aisle you find yourself, that’s the administration of more government, more regulation, not that Bush was much different but as opposed to the republican side of the aisle which they’re always screaming about less regulation. And I find, frankly, that these companies want more regulation because it creates a barrier to entry for competitors and it consolidates the power in the large corporatocracy. You look at how they’re shutting down all these little co-ops and neighborhood farming scenarios. They go by different names and so forth – I’ll just call them co-ops. They’re just doing that so the big corporate companies like ADM can control the food supply. It’s ridiculous. Jason Hartman: And they weren’t paid off by lobbyists. McKay Jenkins: Right. And the public would trust them and they would do their work. I mean, I don’t want to bring in Europe too much, but in Europe, the general MO in Europe is that they have a sense that the public health trumped corporate profit. So their first impulse is to figure out how to get stuff out so that we don’t have these rising cancer rates. So their inclination, generally speaking, is to protect the public health. And here, as we all know, that is completely out the window. But your thing about the corporatocracy and getting in the way of competition, what’s interesting about this, you really have hit it because a lot of people have talked about food. Like Monsanto owns the food system or ADM. But now we’re talking about other things besides food. So, for example, why is that you have to buy your laundry detergent from a brand made by Procter & Gamble? Why is it inconceivable that someone down the street from you can’t make laundry detergent as their job? Now, that seems laughable. Jason Hartman: And just my statement is because they’re regulated out of existence the small business can’t do it. They just make it too difficult. McKay Jenkins: Let me just give you an example. In the book, I spend a lot of time in the state of Maine. The thing I was telling you about, about all these chemicals showing up in people’s bodies, those are called body burden studies where they test this stuff you’re carrying around in your body. And Maine, because it’s so poor, and because there’s so little industry up there unlike, for example, California where it’s rich and there’s a lot of industry and power, in Maine they were able to pass some of the most effective health laws about toxic chemicals in the United States because when this stuff comes up before the legislature, the lobbyists don’t have any traction because the legislators, they don’t owe them anything. And, in Maine, I brought up the laundry detergent thing because in Maine I talked to a woman who buys little baggies of laundry detergent made by this woman down the street. And I never thought of that before. Anybody ought to be able to make anything they want. And if you want to have a niche in a market, wouldn’t you think that having a non-toxic plant-based product that people can buy without any anxiety from someone down the street as opposed to a petro chemical thing that is coming from some gigantic industry that you have no idea about, that would be a great business opportunity. You can think about that across the board. There are people in Maine that are trying to make plastic water bottles out of potatoes because there are all these potato farmers up there that have been out of business because the fast food guys all buy it from Idaho and Maine potato farmers have been out of work. But they can make a plastic out of potatoes that is not only biodegradable but you’re not gonna get hormone disrupting chemicals in your water when you’re drinking it. So, if you want to talk about a business opportunity, this idea of opening the whole gate to people coming up with alternative ingenious products, there’s like no end to it because everything is so centralized right now. Jason Hartman: Yeah, I hope you’re right. That’s very refreshing to hear you say that. My only thing on that is that I just think that every time one of these little guys’ small business gets some traction with an alternative like that, they tend to get attacked by the regulators and the V of the corporatocracy and it’s just a sad situation. It really is. McKay Jenkins: This is why this book is about much more than toxic chemicals. It also is about things like local economies. If you can convince people that buying stuff from the guy down the street is in their interest in terms of the economy but also in terms of the environment, in terms of their health, that’s the only way you can battle the centralization is by having people who remind themselves of their community, their local economy. And I agree with you, I think that’s really the hope. Jason Hartman: And I’ve got to just say something about that. As much as I hear about it on this show, I’m getting more this way, I’m a convenience shopper. I don’t cook much. I eat out a lot. But I gotta tell you, a couple of weeks ago I went to this little organic market in my neighborhood. Sorry, it’s not an organic market. It’s just a local market where all of their supplies are from local and many of them tend to be organic even if they’re not organically certified. That’s what the owner of the store tells me. And I like the idea of supporting the small businessman who you can look in the eye or small business person I should say who you could look in the eye and you’re pumping money right into your own local economy which is great. I bought some tomatoes, some beef steak tomatoes, and I gotta tell you, I could not believe how good they were, how much more flavorful they were than the stuff I buy at Costco. It was shocking how good they tasted compared to the food that comes out of the corporatocracy. McKay Jenkins: Right. But now the beauty of a tomato, this is like a Zen thing about looking at a drop of water and seeing the whole universe. Let’s talk about your tomato for a second. So, if that tomato came from a local farmer, what that means is that somewhere in your community there is a farmer who has enough land and enough profit to survive. You’re from Orange County, right? Jason Hartman: Yeah, well, most of my adult life, but I recently just moved to Arizona, so I live in the Phoenix area. McKay Jenkins: Either way, it’d be either place whether you’re talking about Orange County or Phoenix or Maryland where I’m from. I mean, what has happened in all those places is that the farm land has been sold off for the last 50 years to subdivisions. And so we’ve got all these sprawling suburbs which everyone knows about the problems with that, but one of the problems is that there are no such thing as local farms anymore because they can’t afford to keep their land. Jason Hartman: It’s an urban planning problem. McKay Jenkins: Well, not just urban. In Maryland, it’s the whole state. Where in the state do you want to allow farm? Not just in downtown Baltimore they’re trying to do some urban farming, but you gotta get the suburbs under control so that we can have a mix of things. Otherwise your tomatoes are gonna come from Israel for the rest of your life. Jason Hartman: Right. But, I mean, the problem is that the powers that be are going to try and quash that every chance they get. McKay Jenkins: Right, so what’s the one thing that can battle that kind of thing? It’s a popular shift. The one thing that beats money is just the numbers of people. Jason Hartman: Good point. Yeah, so that’s what we’re doing here today is getting the word out. So, tell us more about some of these. We don’t have to spend all our time on the socioeconomic governmental problems which are certainly very valid issues here, but tell us more about what chemicals are around us. Is there a short list of someone who doesn’t want to just totally redesign their life or is just not gonna really truly spend the time or effort to doesn’t have to become a total treehugger, if you will, a short list of 5 or 10 things we can do to just instantly improve our chances of survival among the assault of expedient, deadly chemicals around us. McKay Jenkins: Yeah. Well, it’s a really important question. And I’ll give you some specific ideas in one second, but I think it’s important to talk about consumer behavior even before we get there. So what most people do, and as you mentioned before, what industry and these corporations want you to do is shop without thinking. They want you to reach for the same product that you’ve been reaching for your entire life and your parent reach for, just reach, reach, reach, reach, reflexively unthinkingly reach for the same thing over and over and over again. Why? Because as soon as you get hooked on a particular product, you just keep using it because it takes too much effort to think about alternative. So, what they want you to do is not think. Let’s just say you’re in a big box store. We’re just gonna walk through a big box store and you’re going to do all your shopping there, for your food, for your household products, and all that. So you walk down the aisle, in the cosmetics aisle, and you reach for the product that you always use, the same lipstick, the same mascara, whatever it is. In this situation, why don’t you just stop and think for a second? And if they’re reaching for that thing, we’ll reach for that and actually look at it and see what’s on the label and what’s not on the label. And what you’ll find if we’re talking about cosmetics is that cosmetics are not required to put anything on a label. And just one example, there are 400 chemicals in American cosmetics that are illegal in Europe because they cause health problems. So, when you’re reaching for that lipstick, and you may not realize it but there’s lead in a lipstick for example, or there is [0:23:31.7], these are like industrial degreasers that are in stuff. You can find products in the hardware section of a big box store. They are labeled with a label that says “Warning: The state of California has determined that this product contains ingredients that are carcinogenic.” And you might feel good because it’s on the label. But you can go to the cosmetic section and find a product made with the same ingredients that are equally carcinogenic and it’s not on a label. And instead of putting it on an engine, you’re putting it on your face. McKay Jenkins: So, here’s one thing. One thing to think about, cosmetics. So, if you are a user of cosmetics, as many people are – and by cosmetics I don’t just mean a lipstick but any kind of personal care products. We talk about shampoo. Jason Hartman: Yeah, so this applies to men and women. McKay Jenkins: All that. And I think the number is even men use something like 12 of these products every day, your toothpaste, your deodorant, all this stuff. Just think about all that stuff. If you think about it, do a little bit of research. There’s a website called SafeCosmetics.org where you can go in there and there’s a big old search engine and you punch in whatever product you’re using and it’ll tell you what’s in it and what the problems are. And then when you have a little bit of information, you can go to the store and you can buy something different. And since we’re talking about economies a little bit, the beauty of that, as with things like organic food or local food is as soon as you and then all your friends start buying A instead of B, suddenly it becomes profitable for companies to start selling the good stuff instead of the bad stuff. So this is how you generate market pressure just like organic food is now like has been growing at 20% a year for 15 years. Now you can buy organic food in every mainstream supermarket. That’s because people want it. And as soon as people want cosmetics that aren’t made with toxic chemicals, they’ll get them because companies want to make money and that’s what they’ll provide. So that’s one thing, cosmetics. So then you can think about any fabrics in your house. Try to go buy a shirt, a men’s shirt that is not treated with wrinkle resistant chemicals. I went into this men’s store the other day to buy a shirt and they have these beautiful shirts. They’re stiff as a board. They have like permanent starch in there and they will never wrinkle. And then you think, huh, that’s interesting, that’s cool, now I don’t have to iron it. But you have to ask yourself how did they do that? And it turns out the chemicals they use in these things which basically stay in the shirt for a long time and also of course are rubbing on your body the whole time you’re wearing them. They’re not made out of stuff that God created if you want to think of it that way. This stuff is made in a laboratory. If you’re cooking a leg on your stovetop and you’re using a Teflon pan, you may have heard about this but Teflon, let’s say you’re making an egg and the phone rings and you go answer the phone and the pan gets so hot that it starts to break down. Jason Hartman: And all that Teflon is leeching right into your eggs. McKay Jenkins: Well, right. And also into the air. Now, if you happen to have a parrot, some people have parrots or parakeets, those birds are like super sensitive to Teflon chemicals for whatever reason. And if you do that and that parrot takes one lung full of those chemicals it will drop dead just like a stone. And so you might think, God, well that’s good, at least I’m not a bird. Well, you shouldn’t be thinking about that. Like, if it can happen to a bird, it can happen. Jason Hartman: It’s the proverbial canary in a coal mine. McKay Jenkins: You’re right. And, again, we could go on all day because in this book I have a toxicologist walk through my house room by room and do what you’re asking me to do which is like point stuff out that might be problematic. Jason Hartman: So, that website is great. How do you just shop for this stuff easily? For example, can you go on Amazon.com and order European personal care products like shampoo? Which one do you buy? Maybe, as a result of consumer demand, websites like Amazon will just have a section for that like they have the organic section now in all the markets. McKay Jenkins: Yeah. I don’t want to keep getting abstract, but what your question reveals is how little thinking we’ve ever done about anything we buy. And if you say, God, it’s really hard for me to find a product that I can count on to be safe, you’re absolutely right, it is. But isn’t it worth it? All we’re talking about is find it one time and then for the rest of your life buy that product instead of the other one. You have to have a little bit of information. And without getting into a whole separate conversation, labeling products is a huge issue for a lot of these health and environmental groups. If you want to walk in a supermarket and you say we’re gonna buy organic food, I really want to buy organic food, and there’s no label telling you which is and which isn’t, you have no choice. But now that there is a label, you do have a choice. And this is why those industries flock the organic labeling thing for so long. They didn’t want you to have a choice. And if we force these companies to put labels on stuff, this product does not contain any carcinogenic ingredients, people would buy it. And that scares these industries because they know the people would buy it and then they’d have to shift their whole line. Jason Hartman: One question on the labeling. Is the labeling legit? Like, have there been any stories about misleading labels – I mean, I’m sure there are misleading labels – but outright fraudulent labels, for example, products saying it’s organic when it’s not or doesn’t have lead in it when it does? That kind of stuff? McKay Jenkins: Your skepticism is shared by many people, and it’s perfectly legitimate. The word “organic” has legal teeth. You are not legally allowed to call a product organic if it isn’t organic. So that actually is a word that generally speaking you can trust. Now, there are ways to fudge that, like you could say this product is made with organic ingredients or something like that, so it could have some organic ingredients and lots of really bad ones, so you need to be careful about that. But there are other words, they’re not words that have any legal meaning and because they’ve been so misused, they’ve lost all meaning like saying this is a natural product. The word “natural” means nothing. So, the marketing geniuses have figured out how to fudge everything which makes it even more confusing for people. So, it’s really aggravating. I totally acknowledge that, it’s really aggravating. But the idea of using your brain a little bit is really well worth it because there are real health consequences at stake here. Jason Hartman: It’s interesting because I like buying online and reading the reviews. And so I’m on Amazon.com and I’ve never even considered this before but a few weeks ago I went on Amazon.com and I bought some lotion, right. Like, who would really think about lotion much? Like usually you just get it off the shelf at CVS or whatever or at Costco, and I actually went on and I started reading the reviews. And Aveeno is a product that is sort of billed as like this sort of natural product. And I was reading the reviews and one of these reviews – I always read the negative reviews first – maybe that’s not fair, but I usually do it – and this one review said this product contains all these metals and things like this and it’s just misrepresented. McKay Jenkins: Yeah. Well, you should be pissed off. If you and everyone else was pissed off and actually acted on it, it’s like what is politics really about? What politics is really about is people getting pissed off about one thing or another and asking for it to change. That’s all politics ever was. So, if you’re pissed off that your rivers are polluted, you do something about it. If you’re pissed off that your air is polluted, you do something about it. If your consumer products are polluted, you should be pissed off about it. You can either vote with your wallet by buying different things or you can vote with your ballot and get people who actually want to do something about it. Jason Hartman: Yeah, and I’d say the more direct and expedient method is just vote with your wallet because politicians, they say one thing and do another. It’s ridiculous. What was the website, again, that you recommended? McKay Jenkins: Well, the one for cosmetics is called SafeCosmetics.org. Jason Hartman: How about household items and things like that? Jason Hartman: That’s the BPA? McKay Jenkins: BPA was on the inside of their can. And that’s another hormone disrupting chemical and they finally decided they would take it out. So when news breaks about this stuff, I’m constantly putting it on there. I have a Facebook page and a Twitter account. I’ve just been like constantly pumping out news about all this stuff. So, what’s cool about it, believe it or not, your frustrations notwithstanding, is that there are a lot of energetic people and groups out there pushing on this topic all over the country. These industries are responding. They’ve seen the writing on the wall and you’re starting to see some movement on this. Jason Hartman: That’s just fantastic. And, I mean, this is a truly capitalist movement. And that’s just awesome, voting with one’s wallet. That’s the way it should be done. So, yeah, your website is great, lots of resources here. Actually, you have a tab called resources. So, all of these other sites are linked up here where people can find the safe household products, the safe personal care and cosmetic type products, things like that. What else do you want people to know, McKay? McKay Jenkins: Well, if I can list one more thing, that when we’re talking about different things you should think about, I have become slightly evangelical about pesticides. And this is something that especially people in suburbia around the United States will have to think about. So, at least where I live in the Chesapeake Bay Watershed here you have every spring, you have armies of these lawn care companies coming up to you and trying to sell you their services which usually include spraying everything in sight and we know from Rachel Carson here in the early 1960s that these chemicals are designed to kill things, they’re designed to kill insects or they’re designed to kill weeds. And if you think that those things have no impact on human health, you are deluded. And the problem is it’s not just that you use them or your neighbor uses them, but if everybody uses them, as soon as it rains it runs into various rivers and creeks in the Chesapeake Bay. The Chesapeake Bay is being singularly strangled by pesticides and herbicides and fertilizers and things like this. And I have a whole chapter in the book on lawn chemicals and it would be very, very useful for people to keep in mind what the consequences are of using this because you, again, scale up the pesticides that are used in people’s yards, it is an enormous number. And just to give you one study out of Denver that says that children who are raised in yards wher people use pesticides are 4 times more likely to get these soft tissue sarcomas than kids who grow up on lawns that are not treated with chemicals. So, he also extends to golf, by the way, so golf courses are uniquely toxic in the chemicals that are sprayed. Jason Hartman: Wow. Golfers, did you hear that? You go golfing. And I went a couple of weeks ago, and you think, boy, I get to be out in nature on these beautiful courses and fresh air, a little bit of sunshine. Golf courses, tell us more. McKay Jenkins: I can only quote a greens keeper who said if you scraped off like the top 2 inches of any golf course, especially obviously a green, if you scraped it off you would have to take it to a toxic waste dump because the stuff is like a sponge. I don’t want to get all ecological here, but let’s say you’re playing on a golf course that is a couple hundred acres. If it was left to itself it would become a forest, right? So, to keep it from becoming a forest, you have to mow it and you have to spray it constantly. Here’s a little Zen experience. Next time you’re playing golf, look down at your feet and see how many species of plants you can see growing under your feet – at the small level, not the trees, but the grass. And if you can only see one kind of grass, which is what they want, right, they want one kind of grass on the green. If that’s true, then it means they have killed everything else. And if they’ve killed everything else, they’ve had to do it chemically. And if you think about what that stuff is doing in the ground, it’s been absorbed by that ground, and when it rains it all runs off. And that’s the stuff that’s getting into your drinking water. So, you can’t pretend, if you want perfectly sanitized golf courses that it is not going to become part of your drinking water. It is, it just is. That’s the way these systems work. So, if you want to be serious about stuff like this, you could, for example, say to your greens keeper, do you think we could like lay off some of the pesticides and the herbicides a little bit? People don’t want to heart his because it’s irritating to have to think about it, but you want agricultural chemicals out of your drinking water, you gotta stop spraying them on your golf course. That’s just all there is to it. Now, you may not like that, but if you don’t do it, you’re still gonna get them in your drinking water. Jason Hartman: You know, I never thought that golf courses were such an environmental disaster or hazard. That’s really interesting that you say that, almost kind of counterintuitive, just amazing. Okay, well what else should people know? Just wrap this subject up. This is really enlightening. McKay Jenkins: I might ask that people spend just a few minutes thinking about it. The book is written in such a way to be incredibly accessible. Like, there’s lots of studies in there, but it’s written in a way that you can use. There’s a chapter on your home and room by room by room in your home. There’s a chapter on your lawn, there’s a chapter on your drinking water, there’s a chapter on going shopping. My wife and I at one point in the book go on a big box safari, kind of like walking in there and looking at all the stuff on the shelves. And I think if people just spent a little bit of time thinking about this stuff, it’ll serve them really well. Turns out actually, despite it being kind of a scary topic, you can actually make some really, really wise choices without any effort at all. All it takes is just a little bit of space and time to think about different ways of doing things. It’s not really that difficult. And, again, collectively it could make a huge difference, not just on our own health but on the whole community’s health. Jason Hartman: Great advice, McKay. Thank you so much for joining us today. It’s McKay Jenkins, What’s Gotten Into Us? Staying Healthy in a Toxic World. And the website, again, McKayJenkins.com. Thanks so much. McKay Jenkins: Thank you very much. I appreciate it. 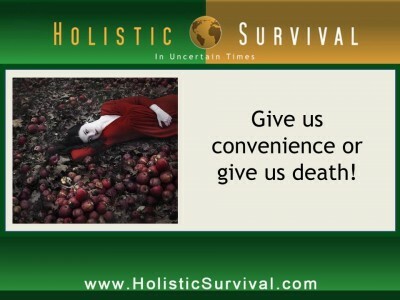 Tags: environmental toxins, jason hartman, mckay jenkins, The Holistic Survival Show, What's Gotten Into Us?